The latest Apple event will kickstart in the Steve Job Theatre on its shiny new spaceship campus, Apple Park, later today. The keynote, teased with the tagline "It's show time" on the official invites, is widely-rumoured to see the launch of Apple's long-awaited video streaming service. The event will start at 5pm GMT (10am PDT). Thankfully for those who didn't get an invite to the event, Apple will livestream the entire presentation on their website as it happens. You can tune-in here. For those hoping to watch the keynote on a mobile device, Apple recommends using iPhone, iPad, or iPod Touch running the Safari web browser on iOS 10 or newer. So those with an Android smartphone might be out of luck. However, Apple has used Twitter in the past to stream some of its announcements, so it's possible we could see another livestream appear on the social network closer to the start of the event. Meanwhile, for those who want to watch the event – and its myriad announcements – on desktop, Apple recommends Safari on macOS Sierra 10.12 or newer, or Windows 10 and the built-in Microsoft Edge browser. According to the US company, recent versions of Chrome or Firefox "may also be able to access the stream". In the past, we haven't had any issue tuning into the stream with an updated Chrome browser on macOS, so we wouldn't sweat the warnings too much. Although, if you have the Edge browser to hand, it might be the safest bet. 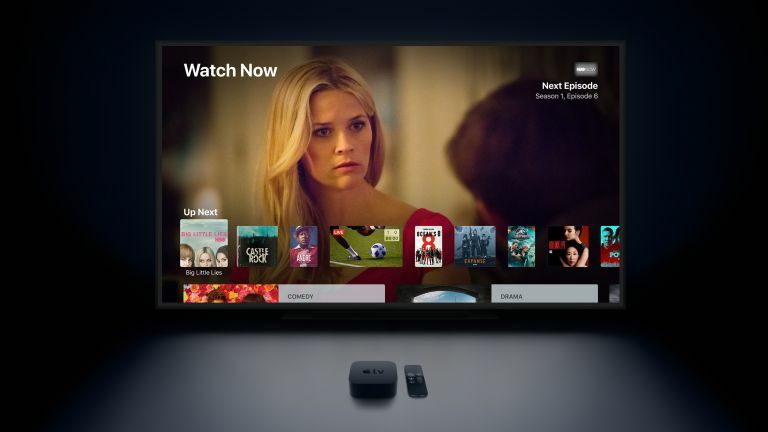 Streaming on the Apple TV set-top box via AirPlay requires an Apple TV (2nd generation or later) with the latest Apple TV software or tvOS. Those with the latest version of the hardware should see a new Special Events app appear on the grid that offers direct access to the stream at the touch of a button, too. The latest keynote event is widely-tipped to centre around Apple's long-rumoured Netflix rival, which will bundle content from a number of studios, including Starz, HBO and Showtime amongst others. Apple will enable access to these streaming rivals via one monthly subscription fee – a bit like traditional satellite television companies, like Sky Q. The new service will also be the home to a slew of original shows financed and produced by Apple, which set aside a $1billion (£750m) war-chest last year and has been snapping up talent across Hollywood. Apple has already ordered revival of Steven Spielberg's critically acclaimed 1985 anthology series Amazing Stories, as well as an as-yet untitled drama series from La La Land director Damien Chazellae, a psychological thriller by The Sixth Sense writer-director M. Night Shyamalan which centres around a couple searching for their lost child. The iPhone manufacturer has also commissioned a drama series about a morning news show with Jennifer Aniston and Reese Witherspoon. Most recently, it signed a “unique, multi-year content partnership" with Oprah Winfrey, although there is little information about what type of shows we can expect from this deal. However, the latest reports around the video on-demand service suggest that Apple will not launch its original shows at the event today. Instead, these shows are still in development and are unlikely to surface until autumn "at the earliest".